When someone first begins experiencing incontinence symptoms they should immediately contact their doctor. The reason for this is that incontinence is most often the result of an underlying medical condition. The diagnosis and treatment of this underlying medical condition is critical to not only the health of the person with incontinence but is also crucial for resolving the incontinence. However, many times people who are experiencing incontinence become embarrassed and fearful and fail to seek out medical treatment. They feel isolated, alone and are not aware that there are many different treatments available that can often times successfully resolve incontinence symptoms. It should be noted that because incontinence is much more common as we age many people assume that it is a normal part of aging. Health experts stress that incontinence is never a normal part of aging but rather is more common as we age because of the medical conditions that become more common as a person grows older. If after seeking treatment for incontinence a person is told that they must simply put up with incontinence or there is nothing to be done they should immediately seek out another health care professional. Today, there are many different treatments that have been shown to be highly successful in reducing and even resolving incontinence symptoms. Lifestyle and diet changes-Your doctor may suggest losing weight, beginning an exercise program, stopping smoking and drinking alcohol, or other lifestyle changes. Many times changing what you eat and drink can have a big effect on the type of incontinence that you are experiencing. You may work with a dietician who can recommend food and beverages to avoid when treating incontinence. Common food and beverage incontinence triggers include but are not limited to: spicy, citrus, chocolate, and alcohol based food and beverages. Behavioral therapies-Your doctor may prescribe behavioral therapies such as bladder training, keeping a voiding diary, or even using biofeedback. Physical therapy-This treatment option has been shown to be highly successful in treating incontinence. There are many different forms of physical therapy that can be used but one of the most common is the use of Kegel exercises to increase strength in the pelvic floor region. Medications-There are certain medications that have been found to be highly effective in treating incontinence. Surgery-The doctor may recommend surgery but this is usually only done after other options have been tried and have failed or if there is a physical defect that can be corrected. Finally, it is important to realize that incontinence treatment can be a lengthy process. While a person is waiting for incontinence treatment to work he or she will need to choose the right incontinence supplies that will help them to manage their incontinence. 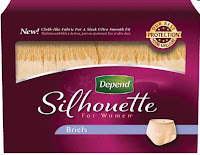 Today, one of the most popular brands of incontinence products comes from Depend. Depend offers a wide variety of incontinence styles and sizes including Depend adult diapers, Depend underwear and Depend Guards for Men. 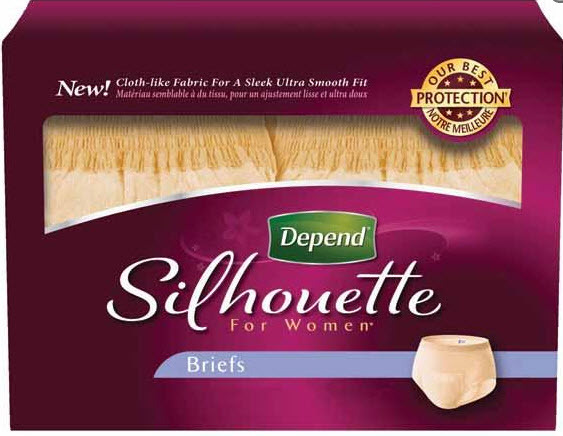 The newest Depend Real Fit for men and Depend Silhouette for women that are designed to meet the unique needs of each gender and provide incontinence protection where men and women need it the most. Having the right incontinence undergarment can provide a person with incontinence the confidence to carry on with their life and daily activities while they pursue the right kind of treatment for their incontinence.